Filipino spouses of American citizens are generally eligible for permanent residency and, eventually naturalization based on their marriage. In general, a Filipino spouse may only be naturalized after showing that they have resided continuously as a green card holders within the United States for a certain prescribed period of time. These requirements are called the residency and physical presence requirements. The issue then arises, what about those Filipino citizens who are married to an American citizen, but the couple is living and raising a family in the Philippines. How are they expected to meet the residency and physical presence requirements under U.S. immigration law? Engaged solely as a missionary by a religious denomination or by an interdenominational organization having a bona fide organization within the United States. Attachment to the principles of the U.S. Constitution and well-disposed to the good order and happiness of the U.S. during all relevant period under the law. If you are a Filipino spouse of an American citizen who is working in the Philippines simply like to know more about the topic, you may contact an US immigration lawyer in the Philippine for more advice or information on the procedures for availing the exemption discussed above. Last January, Robin Padilla shared a video of Mariel Rodriguez and their baby daughter in the United States. He was unable to join them because, despite being granted executive clemency last November, he still does not have a U.S. visa. Considering the recent conviction of businessman Cedric Lee for the kidnapping of his daughter with actress-singer Vina Morales, one has to wonder, does the conviction of a crime automatically disqualify a person from receiving a visa to the United States? The short answer is it depends on the crime. If the crime involves moral turpitude, then a person convicted becomes ineligible to receive visa to the United States and to be admitted therein. This provision is not just limited to a conviction. Section 212(a)(2)(A)(i)(I) of the Immigration and Nationality Act (INA) also expands the ineligibility to include persons who admits to having committed, or who admits committing acts which constitute the essential elements of a crime involving moral turpitude (other than a purely political offense) or an attempt or conspiracy to commit such a crime. But who decides whether a crime involves moral turpitude? What are the standards to be applied in determining whether a crime involves moral turpitude? Under Section 22.21(a) of the Code of Federal Regulations, the Consular Officer must determine whether the crime involves a moral turpitude against the moral standards generally prevailing in the United States. In the Matter of Cristoval Silva-Trevino (26 I&N Dec. 826 (BIA 2016), the Board of Immigration Appeals held that the term “moral turpitude” generally refers to conduct that is “inherently base, vile, or depraved, and contrary to the accepted rules of morality and the duties owed between persons or to society in general.” It requires two essential elements: reprehensible conduct and a culpable mental state. 2. The alien has been rehabilitated. If person who is ineligible under Section 212(a)(2)(A)(i)(I) is the spouse, parent, son, or daughter of a citizen of the United States or an alien lawfully admitted for permanent residence, then the person must establish to the satisfaction of the Attorney General that the alien’s denial or admission would result in extreme hardship to the United States citizen or lawfully resident spouse, parent, son, or daughter of the ineligible person. A person who is ineligible may also qualify for a waiver if they are a Violence Against Women’s Act self-petitioner. Despite the availability of the waiver for ineligible persons, Section 212(h)(2) states that no waiver shall be provided in the case of an ineligible person who has been convicted of (or who has admitted committing acts that constitute) murder or criminal acts involving torture, or an attempt or conspiracy to commit murder or a criminal act involving torture. If you or anyone you know have any questions relating to ineligibility in receiving a visa to the at the U.S. Embassy in Manila, please contact a U.S. immigration attorney for more information. Filipinos working and studying in the United States under the J-1, F, and M nonimmigrant visas should take note of the proposed changes in the manner of calculating unlawful presence by USCIS. 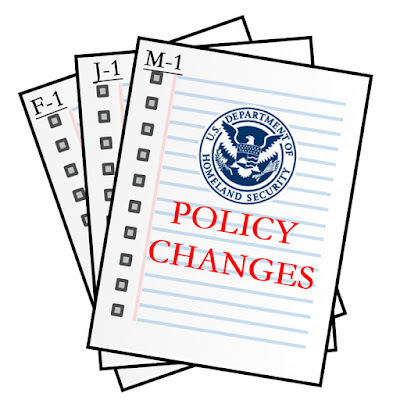 The policy memorandum which was posted on May 11, 2018 s in line with President Donald Trump’s Executive Order: Enhancing Public Safety in the Interior of the United States and is set to take effect on August 9, 2018. 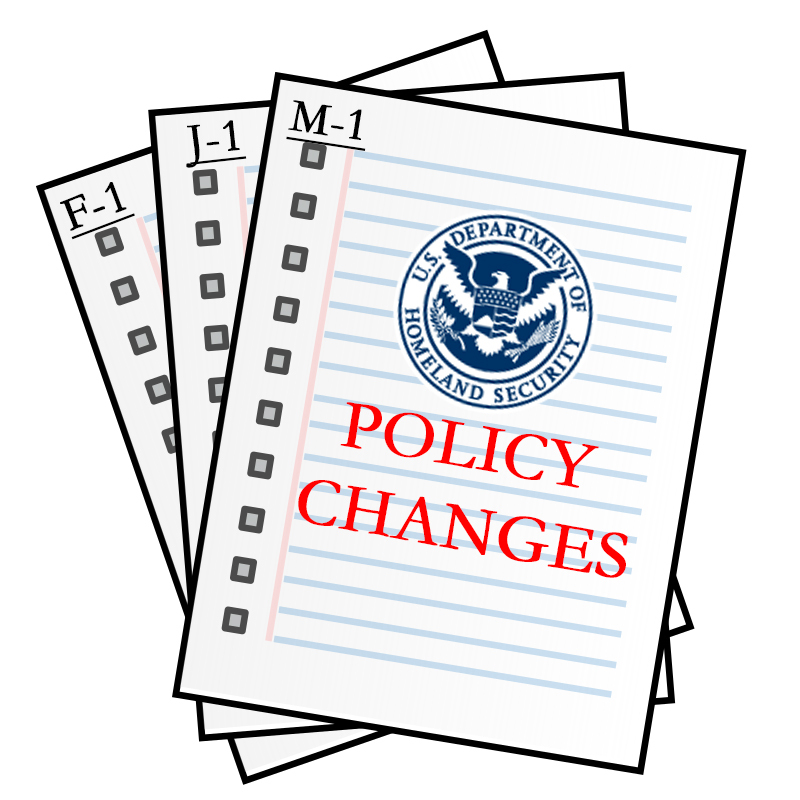 The policy amends Section 40.9.2 of the USCIS Adjudicator’s Field Manual by adding a section concerning F, J, and M nonimmigrants and the manner of calculating their unlawful presence. The day after an immigration judge or in certain cases, the Board of Immigration Appeals (BIA), ordered them excluded, deported, or removed (whether or not the decision is appealed). The day after an immigration judge, or in certain cases, the BIA, orders them excluded, deported, or removed (whether or not the decision is appealed). Individuals who have accrued more than 180 days of unlawful presence during a single stay, and then depart, may be subject to three-year or 10-year bars to admission, depending on how much unlawful presence they accrued before they departed the United States. Individuals who have accrued a total period of more than one year of unlawful presence, whether in a single stay or during multiple stays in the United States, and who then reenter or attempt to reenter the United States without being admitted or paroled are permanently inadmissible. Those subject to the three-year, 10-year, or permanent unlawful presence bars to admission are generally not eligible to apply for a visa, admission, or adjustment of status to permanent residence unless they are eligible for a waiver of inadmissibility or another form of relief. Nonimmigrants holding F, J, or M as well as those who previously departed the United States are strongly advised to consult with a US immigration lawyer to verify their status or to clarify any questions that they may have. Times in the United States have become more challenging for American teachers as more teachers protest low pay and education funding shortfalls. Moreso in Arizona where teacher pay is $10,000.00 less than the national average of $59,000.00. But what is too low for American teachers is a dream come true for Filipino teachers looking for U.S. Visas. At $40,000.00, the salary offered for teachers in Arizona is ten times more than what they would have made back in the Philippines doing the same job. The difficulties in finding American teachers to work for the pay offered has made school districts more creative and innovative in recruiting, looking to foreign teachers to fill the gap. The foreign teachers that the schools recruit enter and work temporarily under the J-1 visa, a visa that offers no path to citizenship. The J-1 visa for teachers lasts for three years, with the option to extend twice for one year. In 2017, more than 2,800 foreign teachers arrived in the United States under the J-1 visa. The top sender was the Philippines, sending 472 teachers under the J-1 visa, followed by Jamaica and China sending 324 and 321, respectively. School districts found it easy to find and recruit qualified teachers from the Philippines as they speak English, are willing to work and are purposefully trained to easily pass muster from licensing authorities in the United States. Possess sufficient proficiency in the English language. In the Philippines, the applicant for a J-1 visa must have their documents processed in the Philippines Overseas Employment Administration so they can be issued an Overseas Employment Certificate, which serves as the Overseas Foreign Worker’s travel exit clearance at the airport and immigration centers. Employment contract that has been verified or authenticated by the Philippine embassy or Philippine consulate in the country of destination. Aside from paying the fees, the applicant must also undergo a medical examination by a clinic or hospital accredited by the Department of Health and attend a pre-departure orientation seminar. Interested teachers should consult with a lawyer or an immigration consultant for more information on American immigration. In a landmark decision, the Supreme Court decided last Tuesday that a foreign divorce secured by a Filipino from their foreign spouse will now be considered as valid in the Philippines. The decision comes in relation to the case of Marelyn Tanedo Manalo, a Filipino, whose petition for divorce from her Japanese spouse, a certain Minoru Yoshino, was granted by the Japanese court on December 6, 2011. Manalo then filed a petition for cancelation of marriage on January 10, 2012 in a Dagupan court so that the foreign divorce can be recognized in the Philippines. However, the Dagupan court denied her petition ruling that Article 26(2) of the Family Code did not apply because it was the Filipino spouse that initiated the divorce. Manalo then appealed the decision to the Court of Appeals who overturned the lower court’s decision ruling that Article 26 of the Family Code applies since the Japanese spouse is now already free to remarry thus Manalo must also be free to remarry. 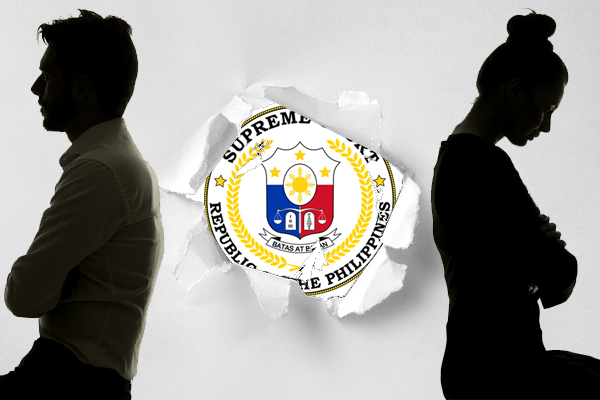 The appellate court held that it would be the unjust and discriminatory to hold the Filipino spouse to still be married to the foreign spouse who, because of the divorce, is no longer married to the Filipino spouse. The Office of the Solicitor General appealed the decision of the appellate court to the Supreme Court, which, in turn, sustained the ruling, voting 10-3-1. The three dissenting magistrates were Associate Justices Mariano del Castillo, Estela Perlas-Bernabe, and Alfredo Benjamin Caguioa. Associate Justice Francis Jardeleza inhibited from the case while Chief Justice Maria Lourdes Sereno is still on leave from her office. The decision comes in the wake of the passage of the divorce bill in the lower house of the Philippine Congress. On March 19, the lower house of Congress approved House Bill 7303 or “An Act Instituting Absolute Divorce and Dissolution of Marriage in the Philippines.” The bill aims to legalize divorce in the Philippines. The approved bill is now set to be received by the Senate. However, several senators have already stated their opposition to the bill. President Rodrigo Duterte has likewise expressed his opposition to divorce during the 2016 presidential debates. His opposition was reiterated by presidential spokesman Harry Roque just hours before the voting at the lower house. The Philippines and the Vatican are the only states in the world where divorce is not allowed. Every year, hundreds of thousands of Filipinos apply for a U.S. visa, whether it be for tourist purposes or to become an immigrant to live out the American dream. However, some have found the process to be too long or the risk of denial to be too great. To ensure approvals, they look to other avenues for help in getting their U.S. visas approved so they can enter the United States. Some make use of visa agents who assure the approval of U.S. visas. 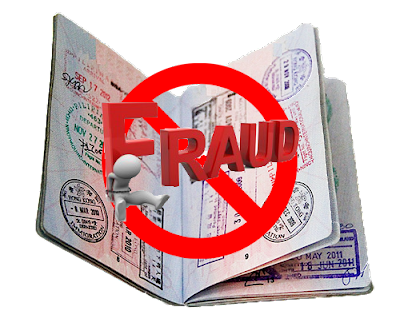 Some visa agents provide their clients with documents such as fake passports or identities with an approved U.S. visa. They assure their clients that it is okay to travel under the fake documents. Other visa agents provide fake documents such as bank books, bank certifications, deeds of sale of real property, tax documents and business registration certificates to prove financial capacity to travel to the United States and to establish legitimate ties to their country of origin. Those seeking U.S. visas pay fees ranging from exorbitant, non-refundable fees for orientation, coaching and the fake documents. If they are successful in their visa applications, the applicants are required to pay their visa agents a “success fee,” which is just as exorbitant, if not more. In scenarios like these, it is not just the visa agencies that may be criminally charged. The applicants will also face consequences such as deportation for their use of fake documents. On the other hand, some make use of recruiters who take advantage of the applicant’s economic needs. As it could take years for visas to be approved, it is hard to predict what needs will have to be met by the workers. Recruiters have the advantage of being able to move people around according to the demand. However, applicants don’t realize the underlying risks of signing with a recruiter. There are some instances where the applicant signs contracts wherein their recruiters take a percent of their salary or they are paid less than the minimum wage. The recruiters hold them hostage to their contracts through the constant threat of deportation. The workers become especially vulnerable due to their lack of knowledge and understanding of what it takes to get a new contract to maintain their visa. 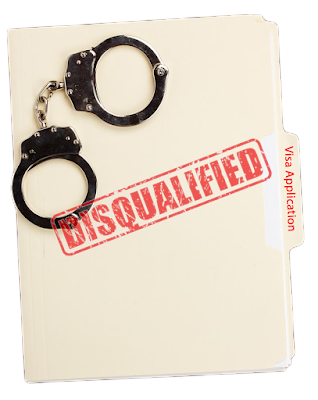 Applicants from the Philippines should be wary of visa agencies and recruiters that are using illegal means to obtain a visa to the United States. They should be more circumspect in choosing immigration consultants lest they fall victim to unscrupulous groups. In doing so, applicants should be informed that only licensed attorneys can legally offer immigration assistance. A series of small moves concerning the immigration policy of the US have been undertaken in the past week by the Trump administration. Attorney General Jeff Sessions has issued a Decision directing the Board of Immigration Appeals to refer cases for his review when said cases have issues relating to when there is “good cause” to grant a continuance for a collateral matter to be adjudicated. Under this Decision, the Board’s decisions on the matter are automatically stayed pending the Attorney General’s review. On 27 March 2018, President Donald Trump issued a Memorandum finding that the conditions in Liberia no longer warrant the extension of the Deferred Enforcement Departure (DED). Due to the conflicts in Liberia, the DED was first authorized by President Clinton in 1999 to allow certain Liberian nationals and persons without nationality who last habitually resided in Liberia to remain in the U.S when they would otherwise have been deported. The DED for Liberians were repeatedly extended by President Bush and President Obama. The Commerce Department announced that it will include a question on citizenship in the 2020 Census. The Immigration and Customs Enforcement announced a new directive wherein immigration officers will no longer default to trying to release pregnant women in immigration custody but will instead require a case-by-case evaluation. The State Department proposed that applicants for visas and alien registration be required to submit five years of identifiers for certain social media platforms, previously used telephone numbers, email addresses, and international travel. The Department of Justice and the City of West Spring Palm Beach announced that it has reached an agreement regarding West Palm Beach’s Resolution Number 112-17. The City agreed to issue a memorandum stating its position that its local laws do not restrict information sharing with the DHS. Immigration lawyers say that the greater scrutiny of visa applications have slowed down the process and have set the bar higher for longstanding categories of visas. 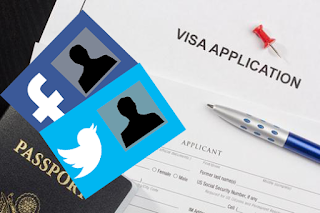 In a notice posted on March 30, 2018, the State Department is proposing to revise the collection of biographical information from nearly all visa applicants by requiring them to provide their social media identities on certain social media platforms during the five years preceding the date of application – with an option to list handles not explicitly required. The proposal follows the Trump administration’s promise of “extreme vetting” of foreigners entering the U.S. to prevent terrorism. Greater attention was placed on immigrants’ social media use after it was revealed that one of the attackers of the 2015 San Bernardino terrorist attack had, under a pseudonym, advocated jihad in posts on a private social media account. Authorities did not find the account until after she was allowed entry into the U.S. If approved, approximately 15 million people will be affected annually, including applicants for permanent residency. Some expressed their concerns on the proposal’s effects on freedom of speech and association and on privacy. On a more practical note, critics also complain that the proposal would make it harder to legally immigrate to the U.S. as the proposal would make the process slower. In addition, the State Department also proposes to require information on five years of previously used telephone numbers, email addresses, and international travel, and whether specified family members have been involved in terrorist activities, regardless of visa application. For applicants for Immigration Visa and Alien Registration, applicants will be required to disclose all prior immigration violations while applicants for Nonimmigrant visa will be asked whether they have been deported or removed from any country. The State Department intends not to routinely ask the question of applicants for most diplomatic and official visa applicants. Upon its publication, the public has 60 days, or until May 29, 2018, to comment on the proposal. The Trump administration's plan to end "chain migration" or family-based immigration could bring many Filipinos' pending immigrant petition to the US to naught, GMA News' Cedric Castillo reported on 24 Oras on Monday. 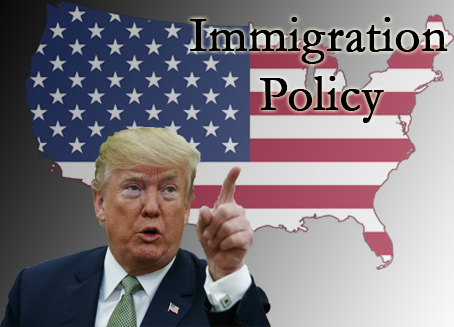 In his State of the Union Address last week, US President Donald Trump blamed the recent terrorist attacks in New York to chain migration, which allows an immigrant to bring to the US his or her distant relatives. "In recent weeks two terrorist attacks in New York were made possible by the visa lottery and chain migration," Trump said. "In the age of terrorism, these programs present risks we can just no longer afford." The report said Trump wants the granting of sponsorship to be limited only to the immigrant's wife and children who are minors. 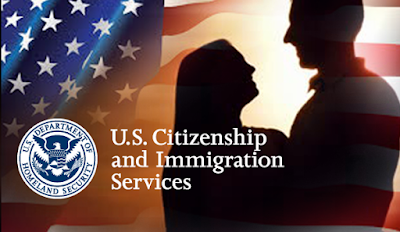 There are two categories for sponsorship to the US: immediate relatives, which covers the wife, children and parents of a US citizen; and family-based immigration, which covers the US' citizen's children who are 21 years and above, as well as his or her. The latter also covers the family of a permanent resident. Lawyer Ryan Barshop, an immigration consultant, said it is easier for immediate relatives of a US citizen to get an immigrant status. "Let's say we have an American citizen who is living in the Philippines and wants to bring over his Filipino spouse or child to the US. The process can take as little as six weeks," Barshop said. However, the process under the immediate relative category could last up to 25 years, he said. The Philippines is fourth country that has the biggest number of petitions for immigration in the US. Based on the latest visa bulletin of the US State Department for the F4 category, it is currently processing petitions submitted before October 1, 1994 — or almost 24 years ago. Malacañang has yet to comment on Trump's immigration plan.